Like the proverbial “2-for-1” special, today’s focus is on a restaurant within a department store—both of which, of course, are now long gone. 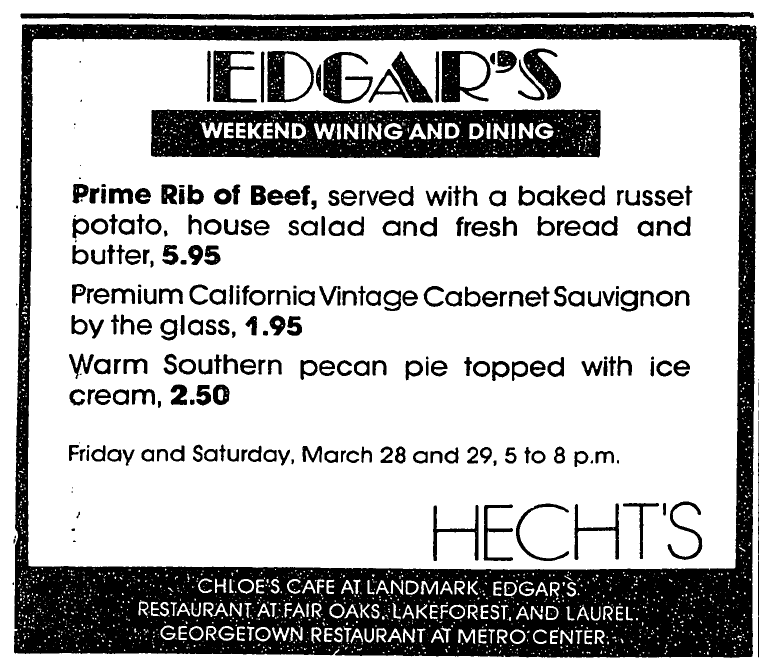 I remember Edgar’s—the restaurant within Hecht’s at Laurel Centre Mall—more for its distinctive, art deco logo that I’d often pass while walking the upper level parquet floors en route to the mall proper. Truth be told, I don’t actually recall ever having eaten there; but I remember that logo—particularly Edgar’s beady little eyes and pencil mustache. In fact, to this day, whenever I hear the expression “beady eyes”, I immediately think of Edgar. While I’m pretty sure I could’ve drawn it from memory, I found a couple of Washington Post ads from 1985 and 86, respectively, which feature both the logo and the beady-eyed Edgar himself. The prices, I have to say, look great—even for the mid-1980s. And from what I’ve heard, the food was actually quite good. 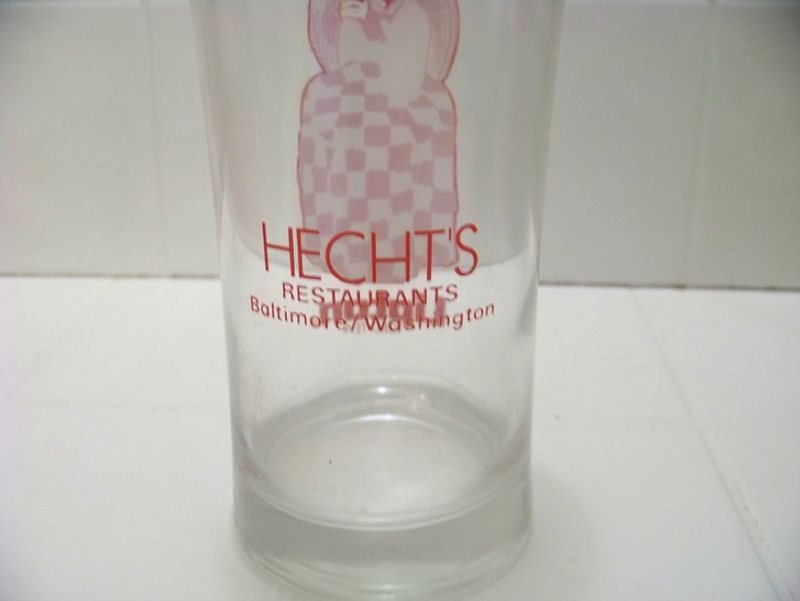 While they’re not Edgar-specific, I’ve noticed a few Hecht’s Restaurants glasses on eBay, promoting Lipton Iced Tea. 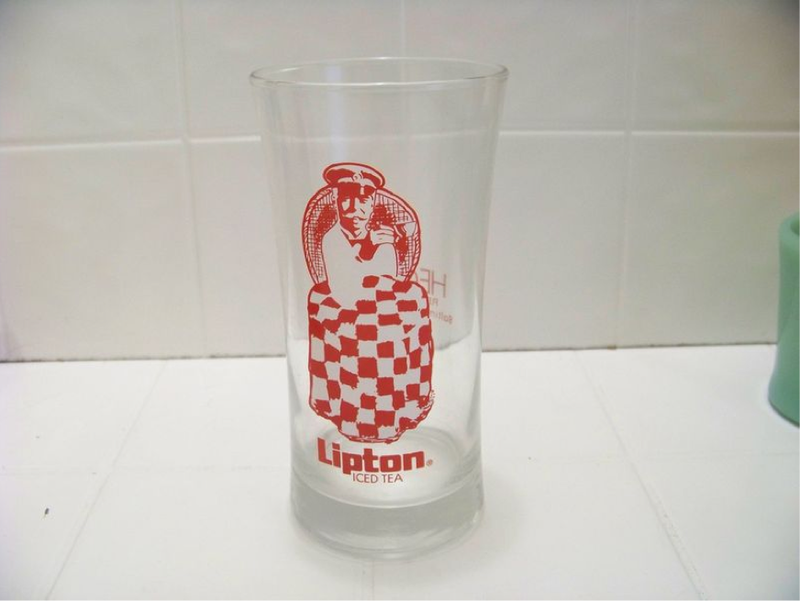 Coincidentally, that Lipton Iced Tea logo guy also had quite a mustache, didn’t he? Fortunately, his eyes weren’t so beady, though. 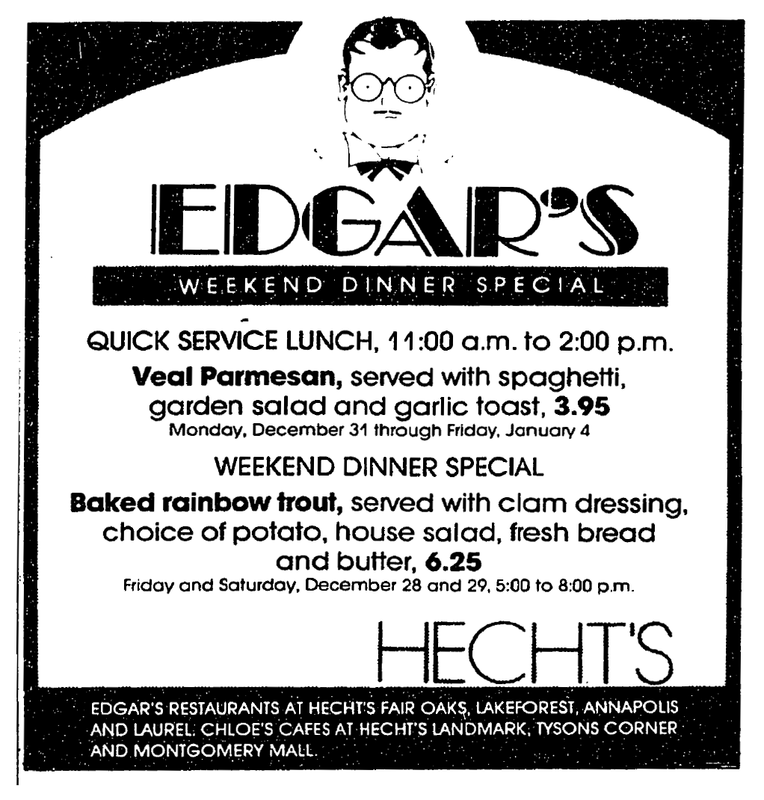 My wife &I ate many a lunch at Edgar’s restaurant. The food was good and the prices reasonable . I have wondered before, when using the 2nd floor bathroom while shopping at Hecht’s/Macy’s, what was in that little alcove with the antique floor, tiles, and a stained glass window – i think? Was that where Edgar’s operated? I don’t recall where the bathrooms were, but from your description, that definitely sounds like Edgar’s. 🙂 It was indeed on the upper level, in an alcove as you’ve described, and closer to the 4th Street parking deck entrance rather than the entrance to the mall.